HOUSTON, TEXAS, USA, March 19, 2019 - SABIC, a global leader in the chemical industry, today announced the launch of AMS31F filament, the company’s breakaway support material for fused deposition modeling. 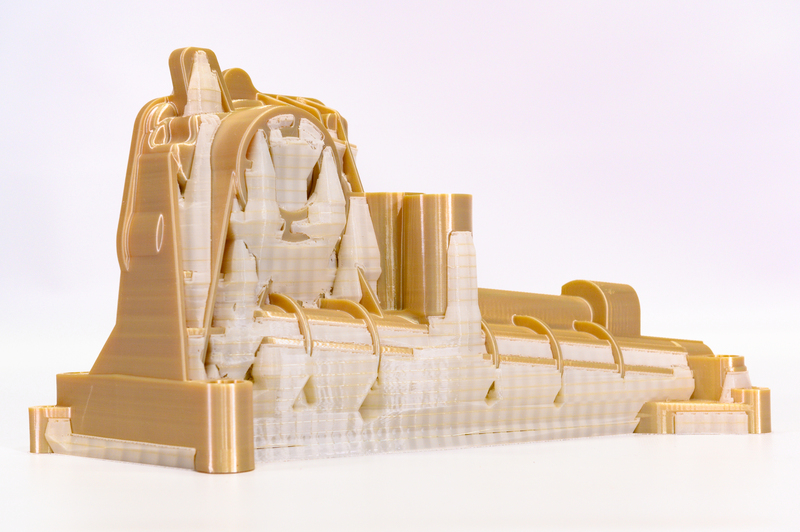 The new filament maintains rigidity during printing and provides exceptional pliability during post processing to enable easier removal of scaffolding at room temperature, which can help reduce the time required to produce finished parts. The new AMS31F filament is for use with SABIC’s ULTEM™ AM9085F filament, a high-performance polyetherimide (PEI) material that provides high heat resistance and mechanical strength which are optimal properties for potential aerospace applications, as well as for automotive, oil and gas and tooling applications. For more information or to request a sample, please email productinquiries@sabic.com. SABIC recorded a net profit of SR 21.54 billion (US$ 5.74 billion) in 2018. Sales revenues for 2018 totaled SR 169.09 billion (US$ 45 billion). Total assets stood at SR 320.1 billion (US$ 85.4 billion) at the end of 2018. Production in 2017 stood at 71.2 million metric tons. 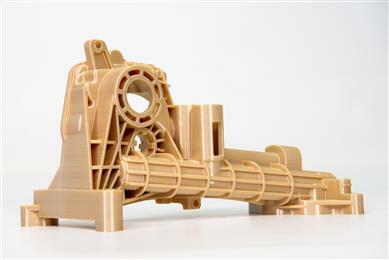 Automotive oil pump printed with SABIC’s ULTEM™ AM9085F filament after new AMS31F support filament is removed.